Today's product engineering environment requires a short time to market. The days in which a development team went through several iterations of build, test, modify & repeat are over. Design times can be greatly reduced with virtual testing and engineering analysis, which have been proven to correlate with real world results. ADEG has years of experience with automotive suspension kinematic analysis and optimization. Our engineers have designed and advised vehicle manufacturers of all sizes. From recreational UTVs to MRAPs protecting our troops, ADEG's kinematic analysis has enabled the suspensions to perform at the highest level. 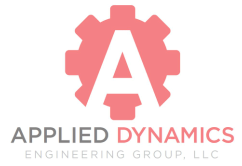 Building on our suspension design successes, ADEG has transitioned into kinematic analysis of custom machines and various other products. Using multi-body physics based software, ADEG can measure all the desired geometric parameters to enable the design to be tailored to the end goals of the project. ADEG can provide event based simulations which can be used to bridge the gap between the mechanical engineering aspect of machine design and the system controls programming for the machine. The events based simulation allows an embedded systems or PLC programmer to visualize the controls algorithm before creating the logic, and provides a gantt chart for sequencing, which enables the programming time and cost to be reduced.